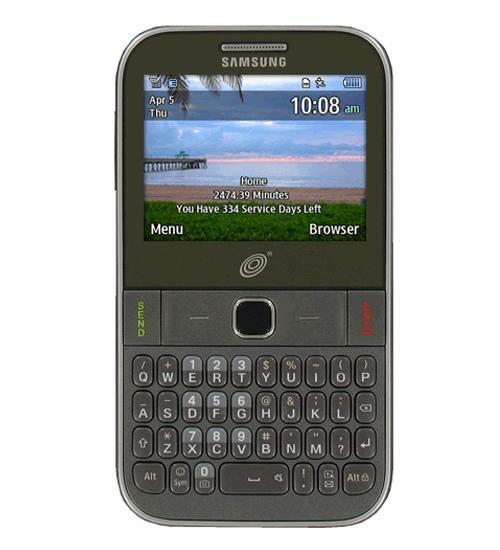 Take beautiful pictures on the 2 megapixel camera, listen to your favorite music on the built in mp3 player, and compose lengthy messages with ease on the fully physical QWERTY keyboard on the Samsung S390G. Weighing in at only 3.51 ounces and measuring just .47 inches in depth, the Samsung S390G is easy to carry around and fits perfectly in your pocket without feeling bulky. You can store up to 2000 contacts in your phonebook and can have up to 32GB in expandable storage via a microSD card.